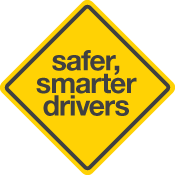 Safe gaps vary with the road conditions, the speed of the traffic and the weather conditions. It is difficult to provide hard and fast rules, but this section will give you some guidelines to help you select safe gaps in traffic. Any guidelines in this section will need to be practised by you in real traffic. They will be of little assistance to you without practice. You will need to adapt the guidelines to your own driving circumstances. You need to try the practice exercises that appear at the end of each section. Making turns is often difficult, particularly when the traffic is heavy. You need to watch for traffic, and other road users such as pedestrians, to the front, left and right. The key hazard perception skill, however, is selecting a gap that is big enough for you to safely complete the turn. This is a skill that comes with practice.